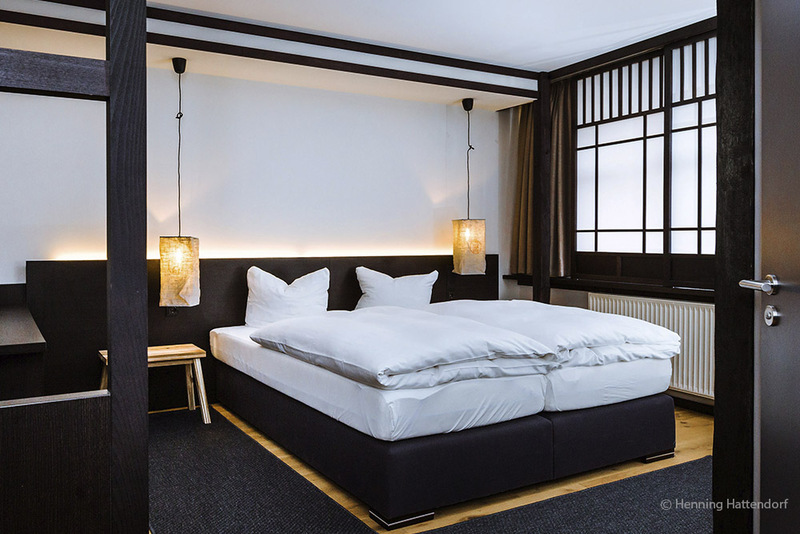 Hotel zur Amtspforte, located in the centre of Stadthagen, is a boutique style hotel. The interior concept is a combination of east asian minimalism and contemporary comfort and flexibility. This design concept was not only reflected in the interior but in the lighting design as well. Each room had a different layout for which a custom lighting solution had to be designed. lantern-style fixtures. The rooms form the heart of the hotel, with soft and warm lighting. Here, there are several types of lighting components, giving guests the option to choose between functional task lighting, or relaxing atmospheric lighting. Studio De Schutter worked in close collaboration with Larissa Kadner from LAKA LAB, who envisioned the interiors.